Steel PumpTM Peak Performance Pre-Workout allows you to train harder and longer while reducing fatigue and muscle damage. 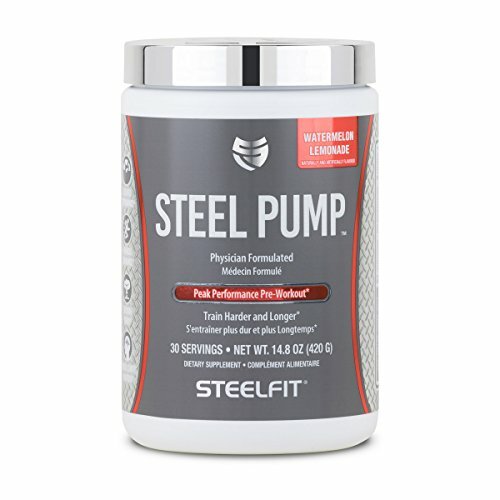 * Steel PumpTM contains potent ingredients which are known to boost energy and stamina, deliver powerful pumps, elevate performance, enhance mental clarity and focus, improve nitric oxide production and increase muscular strength and power. * Steel Pump's easy-to-mix powder provides delicious flavor in every scoop to help fuel your most intense workout.